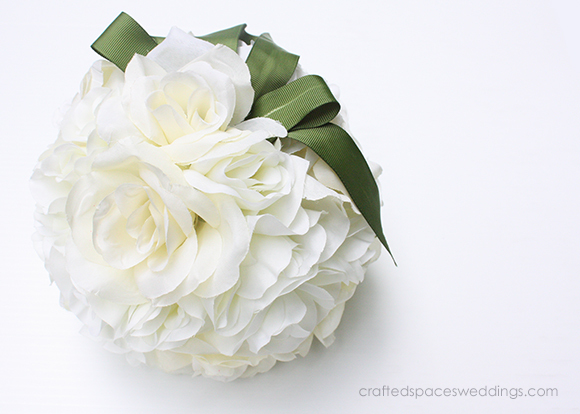 Learn how to make your own bridal bouquet. 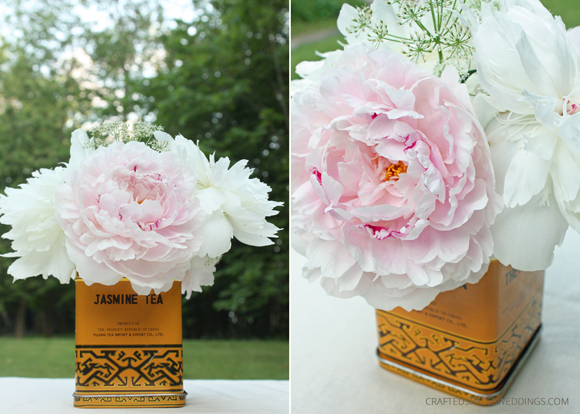 Make a fresh flower arrangement from garden flowers. 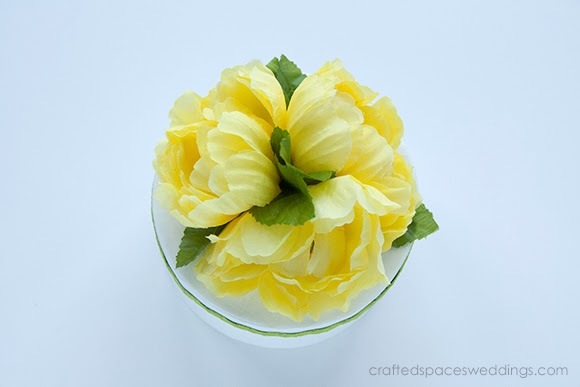 Make a stunning pomander ball with silk flowers. 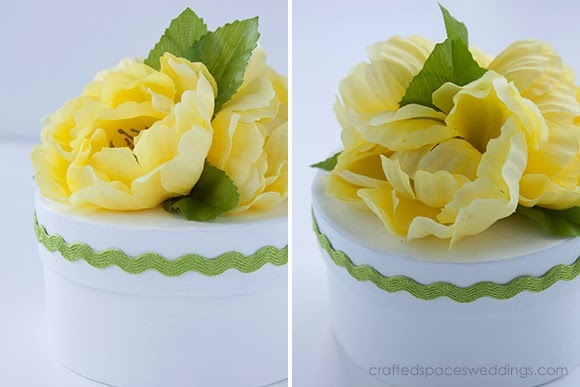 Creating beautiful gift boxes to present your gifts to your bridal party or guest is a wonderful way to add a creative handmade touch to your special day. 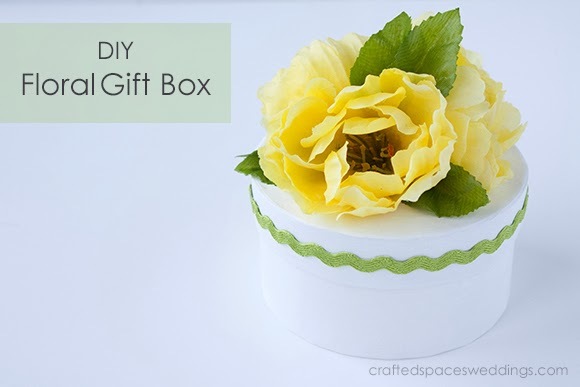 With just a few crafty items you can transform a plain paper mache box into this floral gift box. 1. Depending on the size of your box; separate three flower blossoms and two leaf clusters (six leaves). 2. Prepare your flowers by cutting the stems of the flowers close to the base, and remove any plastic from the centre of the leaf clusters. 3. 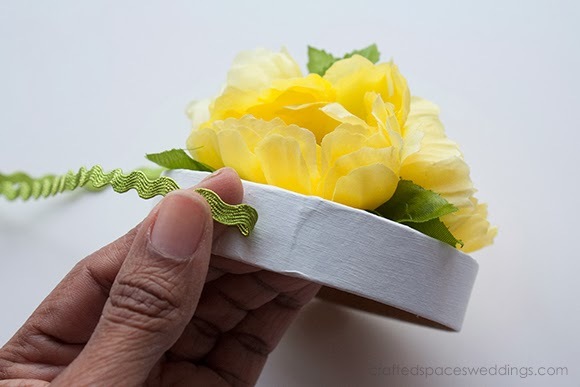 Separate the lid from the box and hot glue a leaf cluster to the centre of the lid. 4. 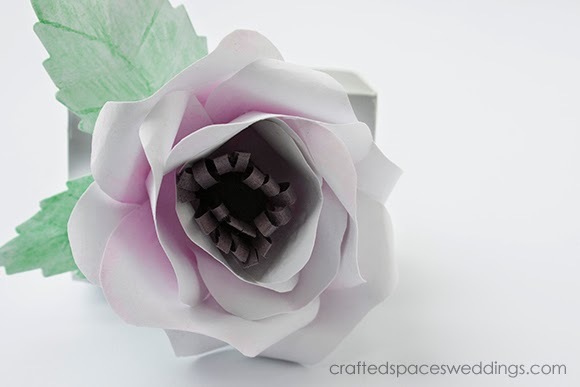 Place hot glue on the back of a flower and place in the centre of the leaves. 5. 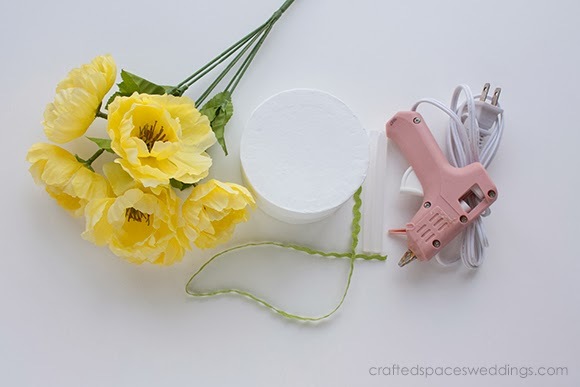 Place hot glue on the back of your second flower and place just behind the leaves in the centre of the lid. 6. Hot glue the second leaf cluster to the centre of the lid. 7. Hot glue the third flower and place in the centre of the second leaf cluster. 8. (Optional) Use a tiny bead of hot glue and attach the ric rac around the edge of the lid in the middle, and overlap slightly at the start point. Now your box is ready! 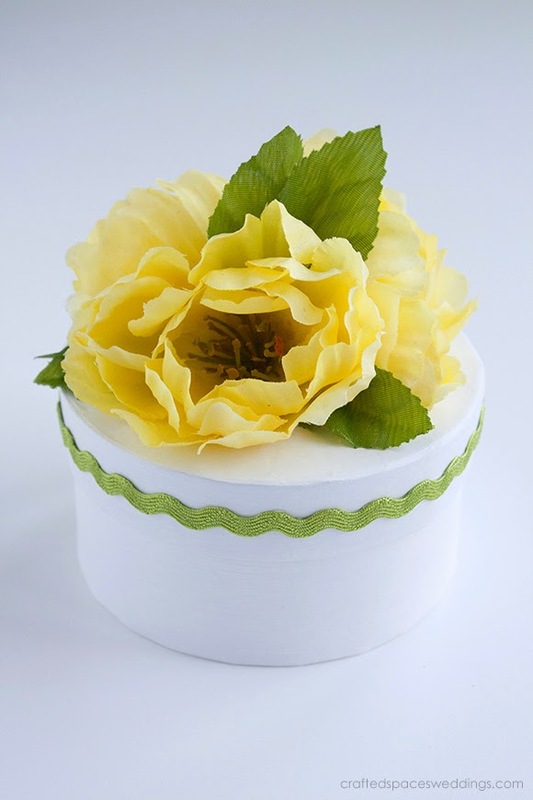 You can make any size or shape gift box you like. 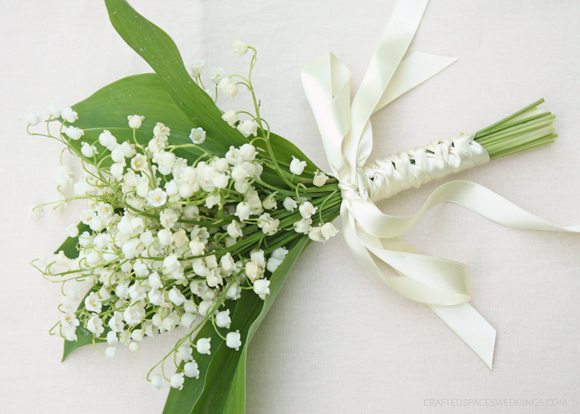 The flowers and colours can coordinate with your wedding, and you can use ribbon as an alternative to ric rac. If you want to add some bling consider using rhinestones as an embellishment. 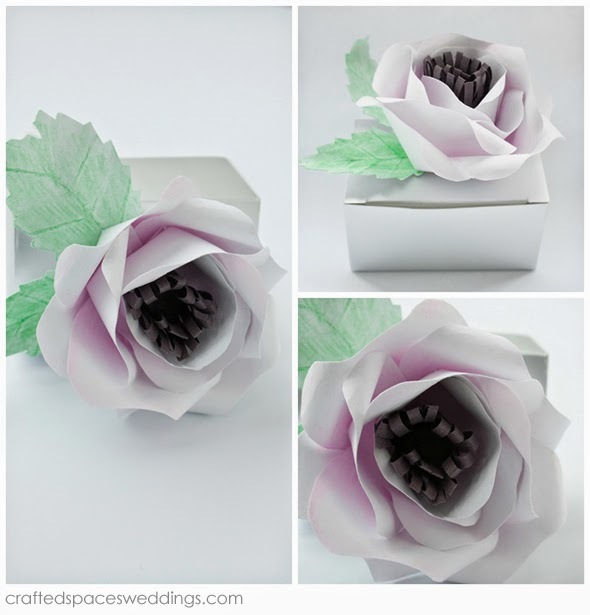 All you have left is to add your bridal party gift or wedding favours to the box. Contact us if you will like to custom order gift boxes or will like a workshop on how to make your own.